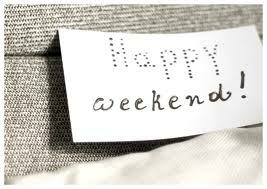 Hope everyone is enjoying their weekend!! 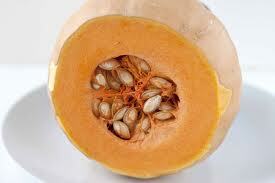 I love butternut squash so I wanted to share this excellent appetizer with you. In a large bowl, add the butternut squash, cheese, greens and pecans. Whisk together all of the dressing ingredients and then add the dressing to the salad bowl and combine. Preheat the oven to 375 degrees or 200 Celsius. Lightly grease a baking dish. Season the scallops with seasoning and place scallops into the baking dish. Add the lemon juice and olive oil over the scallops. Bake the scallops for about 15 minutes or until the scallops have turned opaque. In a small saucepan, combine the butter, lemon juice, honey, shallots, and garlic. Bring the sauce to a simmer over medium heat. Cook the sauce until it thickens and the shallots begin to soften. Remove the scallops from the oven, and add the scallops into the saucepan. Cook for another 10 minutes until the sauce has formed a glaze over the scallops. Combine the milk, sugar, and lemon zest in a saucepan. Bring the mixture to a simmer over medium heat. Remove from the heat. Cover the saucepan and let mixture to sit for 30 minutes. Pour the mixture into a strainer. Place mixture into a small bowl and set aside. In a bowl, whisk together the egg yolks and heavy cream. Slowly whisk the warm milk into the egg and cream mixture. Return the mixture back to the saucepan. Place the mixture over medium low heat and stir constantly until the mixture thickens. Pour the mixture into medium size bowl and cover and chill for about 5 hours. Stir in the lemon juice to the gelato mixture. Transfer the mixture to a ice cream maker and freeze according to directions. Featured Recipe Winner & New Featured Recipe..
My mouth is watering! The butternut squash recipe sounds wonderful and scallops are my favorite!